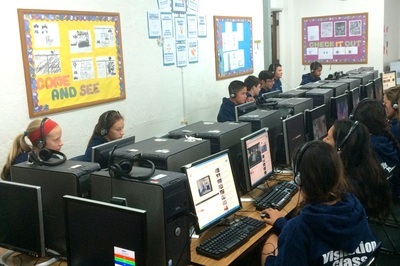 Every grade from Junior Kindergarten to 8th Grade has a theme that is focused on in Computers class. In Junior Kindergarten and Kindergarten, the themes are Coordination and Introduction. Students focus on becoming familiar with their mouse, keyboard and general computer operations. First Grade is all about integration; by now students are comfortable using the computer and begin using programs like Microsoft Word. Second Grade is themed creation; students work with multiple programs and pictures. Third Grade is all about exploration and the students really begin to master Google and computer trouble-shooting. Fourth and Fifth Graders focus on Communication and Presentation, and they explore fun ways to present information such as videos and podcasts, while also learning critical typing skills. 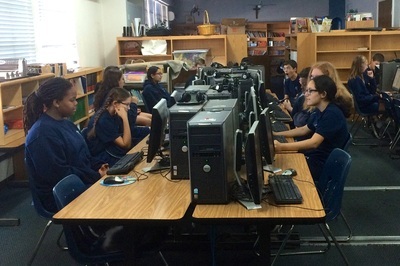 Sixth, Seventh and Eighth Grades focus on Publication, Computation and Culmination, respectively. 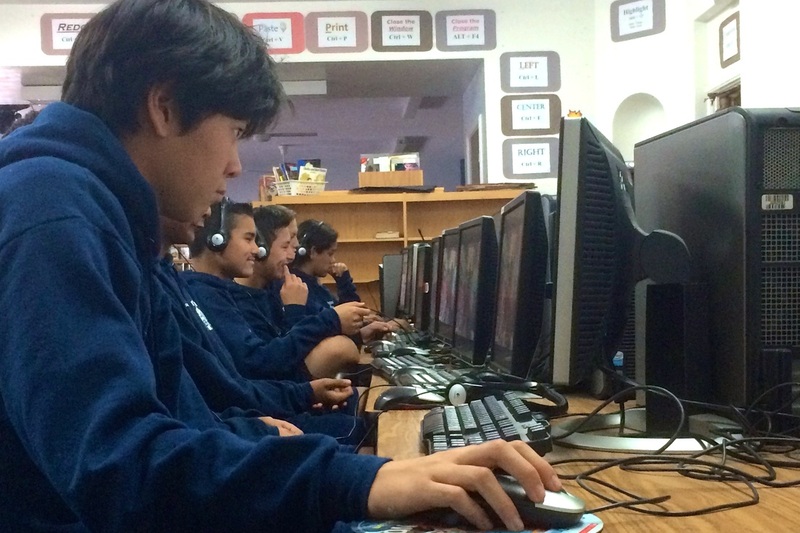 Here, they take all the skills they've previously learned and step into tougher lessons like coding, 3-D imaging, movie making and game design.